From its establishment in September 1991, Dawnbreakers Foundation Inc. has been involved in different processes of socio-economic development, contributing to the transformation of individuals, communities and institutions through educating young people to become promoters of community-well-being and living a life of service. Dawnbreakers Foundation Inc. is a non-profit, non-governmental organization based in Metro Manila, Philippines. In 2008, Dawnbreakers Foundation Inc. started to engage in programs that build the capacity of individuals and communities, through community schools. The schools are established in communities where there is sustained growth in terms of human resource development. 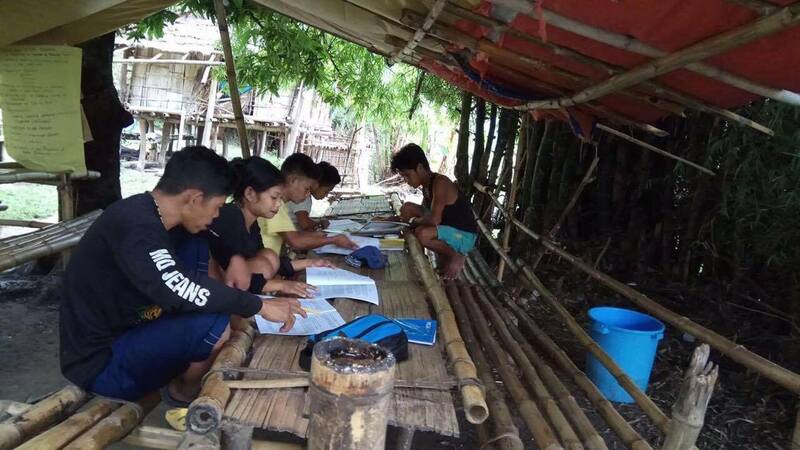 Currently, community schools can be found in Pinili San Jose-Nueva Ecija, Paredes Diffun Quirino, San Marcos Cabarroguis Quirino, Topdac Atok Benguet, Panaytayan Mansalay Oriental, Patpat Bukidnon, and Buhi Camarines Sur. Community schools are held in various settings, ranging from the homes of teachers to Bahá’í Centers, where available. In some rural areas in the country, local government units and community members have provided the venues used by the community schools. Thus, the support of the community is vital for the school’s development. The agency identifies and invites teachers to attend a series of training seminars. Most of these teachers have studied at least the first three books of the Ruhi Institute materials and have some experience in teaching children’s classes. The level of formal education reached is also a relevant consideration when selecting potential teachers. At the heart of the overall approach to promoting community schools is the teacher training program, which continues to evolve as more experience is gained through a growing number of efforts. A distinguishing feature of the approach to teacher training is the manner in which theory and practice are intertwined. Following the initial training seminar and after teachers have gained some practical experience in starting schools, they gather several times during the year for additional theoretical study and to reflect on their experience. This cycle of study, action and reflection, and consultation is a key element in its operations. The program uses Ruhi Kinder Curriculum written by Badi Foundation in Columbia which includes Mathematics, Science, reading and writing, moral, arts and parts of the National Curriculum as supplementary material. The curriculum is supplemented by materials for spiritual education, mainly using the lessons from the books developed by the Ruhi Institute for teaching children’s classes. As teachers gain experience in using the curriculum, their feedback enables the agency to keep developing the academic materials. The Agency’s approach to its development of curricular materials is a continuous process of action, reflection, and consultation, with those involved in Bahá’í community schools.